How can corporations promote the greater good? Can they do good and be profitable? How well can we measure the good they are doing? These were some of the questions explored at a recent Wharton School Conference entitled Creating Lasting Change: From Social Entrepreneurship to Sustainability in Retail. I provide a brief recap of the event. Then I discuss why I believe program evaluators, program designers, and corporations have a great deal to learn from each other. 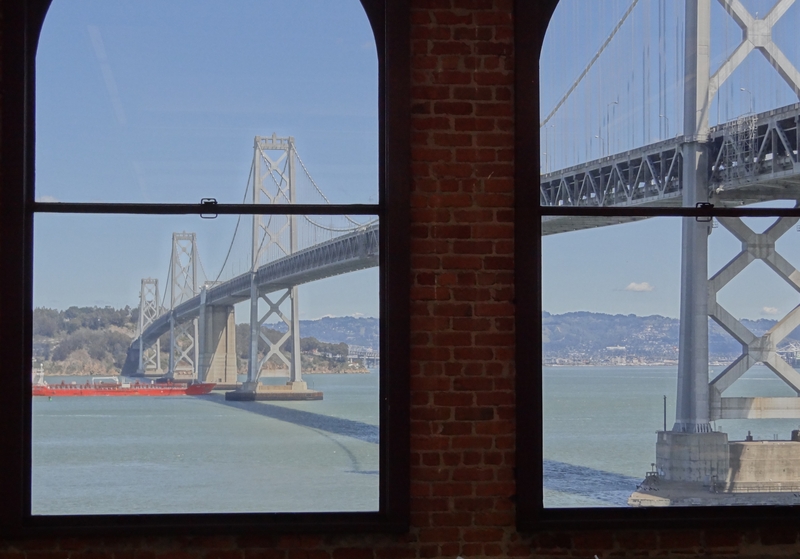 The conference took place at Wharton’s stunning new San Francisco campus. By stunning I mean drop-dead gorgeous. Here is one of its many views. The conference was jointly organized by three entities within the Wharton School—the Jay H. Baker Retailing Center, the Initiative for Global Environmental Leadership, and the Wharton Program for Social Impact. When I first read this I scratched my head. A conference that combined the interests of any two made sense to me. Combining the interests of all three seemed like a stretch. I found—much to my delight—that the conference worked very well because of its two-panel structure. Panel 1 addressed the social and environmental impact of new ventures; Panel 2 addressed the impact of large, established corporations. This offered an opportunity to compare and contrast new with old, small with large, and risk takers with the risk averse. Fascinating and enlightening. I explain why after I describe the panels. The first panel considered how entrepreneurs and venture capitalists can promote positive environmental and social change. Andrew D’Souza, Chief Revenue Officer at Top Hat Monocle, discussed how his company developed web-based clickers for classrooms and online homework tools that are designed to promote learning—a social benefit that can be directly monetized. Amy Errett, Partner at the venture capital firm Maveron, emphasized the firm’s belief that businesses focusing on a social mission tend to achieve financial success. Susie Lee, Principal at TBL Capital, outlined her firm’s patient capital approach, which favors companies that balance their pursuit of social, environmental, and financial objectives. Raghavan Anand, Chief Financial Officer at One Million Lights, moderated the panel. The second panel discussed how large, established companies impact society and the natural world, and what it means for a corporation to act responsibly. Christy Consler, Vice President of Sustainability at Safeway Inc., made the case that the large grocer (roughly 1,700 stores and 180,000 employees) needs to focus on sustainable, socially responsible operations to ensure that it has dependable sources for its product—food—as the world population swells by 2 billion over the next 35 years. Lori Duvall, Director of Operational Sustainability at eBay Inc., summarized eBay’s sustainability efforts, which include solar power installations, reusable packaging, and community engagement. 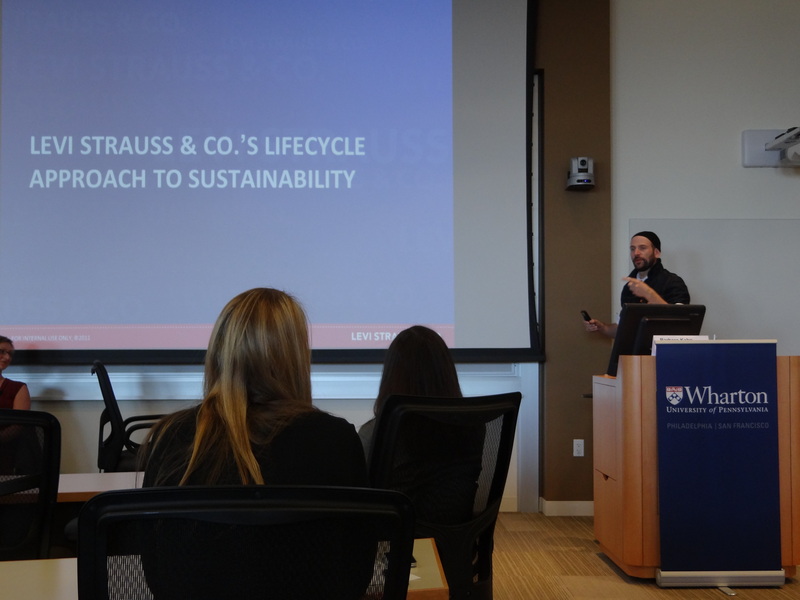 Paul Dillinger, Senior Director-Global Design at Levi Strauss & Co., made an excellent presentation on the social and environmental consequences—positive and negative—of the fashion industry, and how the company is working to make a positive impact. Shauna Sadowski, Director of Sustainability at Annie’s (you know, the company that makes the cute organic, bunny-shaped mac and cheese), discussed how bringing natural foods to the marketplace motivates sustainable, community-centered operations. Barbara Kahn moderated. She wins the prize for having the longest title—the Patty & Jay H. Baker Professor, Professor of Marketing; Director, Jay H. Baker Retailing Center—and from what I could tell, she deserves every bit of the title. I was thrilled to find corporations, new and old, concerned with making the world a better place. 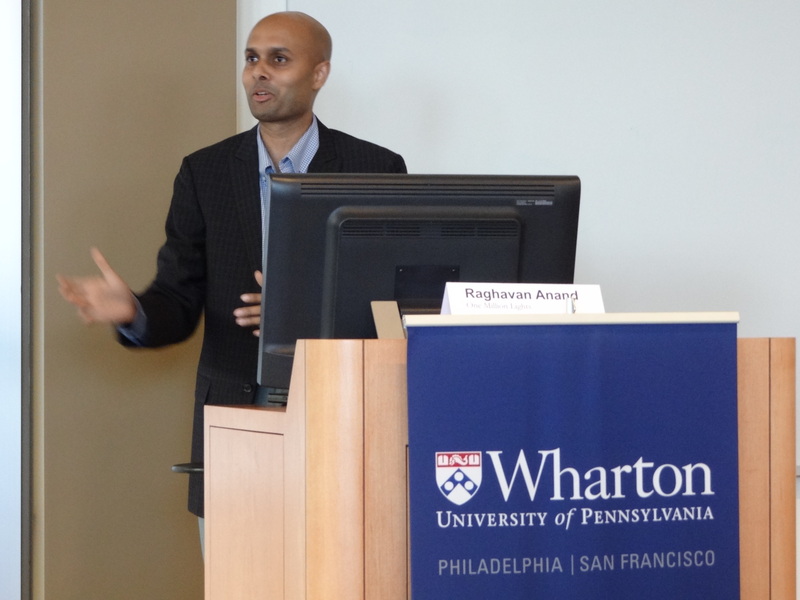 Business in general, and Wharton in particular, have certainly changed in the 20 years since I earned my MBA. The unifying theme of the panels was impact. Inevitably, that discussion turned from how corporations were working to make social and environmental impacts to how they were measuring impacts. When it did, the word evaluation was largely absent, being replaced by metrics, measures, assessments, and indicators. Evaluation, as a field and a discipline, appears to be largely unknown to the corporate world. Echoing what I heard at the Harvard Social Enterprise Conference (day 1 and day 2), impact measurement was characterized as nascent, difficult, and elusive. Everyone wants to do it; no one knows how. I find this perplexing. Is the innovation, operational efficiency, and entrepreneurial spirit of American corporations insufficient to crack the nut of impact measurement? Without a doubt, measuring impact is difficult—but not for the reasons one might expect. Perhaps the greatest challenge is defining what one means by impact. This venerable concept has become a buzzword, signifying both more an less than it should for different people in different settings. Clarifying what we mean simplifies the task of measurement considerably. In this setting, two meanings dominated the discussion. One was the intended benefit of a product or service. Top Hat Monocle’s products are intended to increase learning. Annie’s foods are intended to promote health. Evaluators are familiar with this type of impact and how to measure it. Difficult? Yes. It poses practical and technical challenges, to be sure. Nascent and elusive? No. Evaluators have a wide range of tools and techniques that we use regularly to estimate impacts of this type. The other dominant meaning was the consequences of operations. Evaluators are probably less familiar with this type of impact. Consider Levi’s. In the past, 42 liters of fresh water were required to produce one pair of Levi’s jeans. According to Paul Dillinger, the company has since produced about 13 million pairs using a more water-efficient process, reducing the total water required for these jeans from roughly 546 million liters to 374 million liters—an estimated savings of 172 million liters. Is that a lot? The Institute of Medicine estimates that one person requires about 1,000 liters of drinking water per year (2.2 to 3 liters per day making a variety of assumptions)—so Levi’s saved enough drinking water for about 172,000 people for one year. Not bad. But operational impact is more complex than that. Levi’s still used the equivalent yearly drinking water for 374,000 people in places where potable water may be in short supply. The water that was saved cannot be easily moved where it may be needed more for drinking, irrigation, or sanitation. If the water that is used for the production of jeans is not handled properly, it may contaminate larger supplies of fresh water, resulting in a net loss of potable water. The availability of more fresh water in a region can change behavior in ways that negate the savings, such as attracting new industries that depend on water or inducing wasteful water consumption practices. Is it difficult to measure operational impact? Yes. Even estimating something as tangible as water use is challenging. Elusive? No. We can produce impact estimates, although they may be rough. Nascent? Yes and no. Measuring operational impact depends on modeling systems, testing assumptions, and gauging human behavior. Evaluators have a long history of doing these things, although not in combination for the purpose of measuring operational impact. It seems to me that evaluators and corporations could learn a great deal from each other. It is a shame these two worlds are so widely separated. With all the attention given to estimating the value of corporate social responsibility programs, the values underlying them were not fully explored. Yet the varied and often conflicting values of shareholders and stakeholders pose the most significant challenge facing those designing these programs. Why do I say that? Because it has been that way for over 100 years. The concept of corporate social responsibility has deep roots. In 1909, William Tolman wrote about a trend he observed in manufacturing. Many industrialists, by his estimation, were taking steps to improve the working conditions, pay, health, and communities of their employees. He noted that these unprompted actions had various motives—a feeling that workers were owed the improvements, unqualified altruism, or the belief that the efforts would lead to greater profits. Tolman placed a great deal of faith in the last motive. Too much faith. Twentieth-century industrial development was not characterized by rational, profit-maximizing companies competing to improve the lot of stakeholders in order to increase the wealth of shareholders. On the contrary, making the world a better place typically entailed tradeoffs that shareholders found unacceptable. So these early efforts failed. The primary reason was that their designs did not align the values of shareholders and stakeholders. Can the values of shareholders and stakeholders be more closely aligned today? I believe they can be. The founders of many new ventures, like Top Hat Monocle and Innova Dynamics, bring different values to their enterprises. For them, Tolman’s nobler motives—believing that people deserve a better life and a desire to do something decent in the world—are the cornerstones of their company cultures. Even in more established organizations—Safeway and Levi’s—there appears to be a cultural shift taking place. And many venture capital firms are willing to take a patient capital approach, waiting longer and accepting lower returns, if it means they can promote a greater social good. This is change for the better. But I wonder if we, like Tolman, are putting too much faith in win-win scenarios in which we imagine shareholders profit and stakeholders benefit. It is tempting to conclude that corporate social responsibility programs are win-win. The most visible examples, like those presented at this conference, are. What lies outside of our field of view, however, are the majority of rational, profit-seeking corporations that are not adopting similar programs. Are we to conclude that these enterprises are not as rational as they should be? Or have we yet to design corporate responsibility programs that resolve the shareholder-stakeholder tradeoffs that most companies face? Again, there seems to be a great deal that program designers, who are experienced at balancing competing values, and corporations can learn from each other…if only the two worlds met.